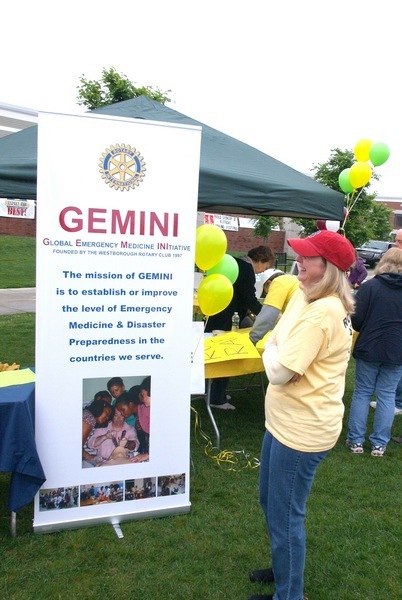 Here is the GEMINI Model Framework, a guide to setting up a project and a good window on how GEMINI works in Rotary, medical and host country communities. Use GEMINI's Project Application Form and return it to Paul Gallagher for a new project. A report on the Stabilization Post Reanimation/pre-neonatal Transport (STABLE) program, which involved U.S. and Guatemalan experts and students in Quetzaltenango, Guatemala, in April 2013 is now available. Click here to see what was taught to firefighters, medical students and pediatric residents. New Project Development and Evaluation forms have been placed in the Member Materials archive on this site. If you do not have log in information and need the forms please contact the site editor or Jorge Yarzebski Jorge.Yarzebski@umassmed.edu and they will sent to you. Under the guidance of Mick Godkin, Ph.D, of the Rotary Club of Westborough, a $15,000 Matching Grant with the Rotary Club of Leon, Nicaragua allowed GEMINI to deliver equipment and training over 5 days at the Autonomous University of Nicaragua’s Faculty of Medical Sciences in Leon (UNAN-Leon) and at its teaching hospital. The trainers were all American Heart Association-certified trainers and consisted of 3 trainers from UMass (Mariah McNamara MD, Jorge Yarzebski Jr NREMTP (and the Rotary Club of Westborough), and Roy Clifford NP), 2 from Mexico and 1 from Texas. Twenty physicians and one UNAN medical student were trained in BLS and ACLS and all 21 passed the AHA test to become AHA certified in BLS; 17/21 passed the ACLS test and are AHA certified in ACLS. Fourteen of the 17 then did the course for to become AHA-certified ACLS and BLS trainers which they now are. Click here to see images from the April, 2011, Nicaragua training program. Stay tuned for more reporting on this project. The Guyana project came to a successful conclusion in October, 2012. Visit the Guyana page for details, photos, and more. Click here to see some vintage photos from a 2003 trip to Honduras. Here are photos from August 2012 sessions in Nicaragua, where Mick Godkin's grant supported Emerency CDR Training. The site was last revised on March 7, 2016.